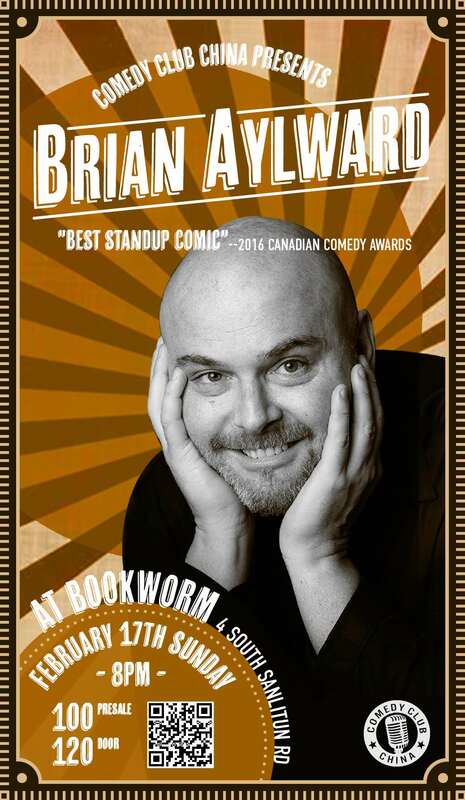 February starts with a bang, as we have our first showcase at the Bookworm in the year of the pig with your headliner, Brian Aylward! Brian is a seasoned comedy pro, named a finalist by Sirius Radio for best Canadian comedian, given an award for comedy at the Canadian Comedy Awards, and his show at the Fringe Festival was nominated for the Best Comedy award. He pioneered the stand-up scene in Seoul, has performed in more than 23 countries, has performed at festivals all over North America, Australia, Asia, and in India (I know it is part of Asia, don't give me attitude people), and now he comes to Beijing! We are very excited and lucky to have him here.